Biomasses have been used as adsorbents since they are inexpensive and can offer excellent performance in adsorption of pollutants and in water remediation. To increase their performance, thermal decomposition of biomass under oxygen-limited conditions to produce biochar has attracted increasing attention. The properties of biochar are affected by the preparation temperature and the type of biomass used. This work investigates the influence of the type of precursor tropical biomass used to prepare biochar with a high capacity for the adsorption of some polycyclic aromatic hydrocarbons (PAHs) in aqueous solution. 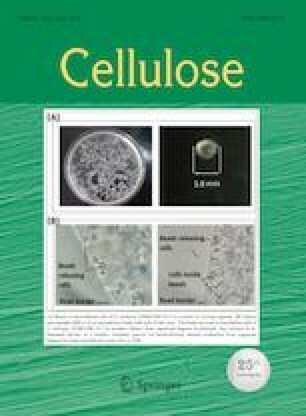 Biochars prepared from coconut waste, elephant grass, orange waste, and guava waste were studied, and the adsorption behaviors were correlated to the chemical characteristics of the materials. The type of precursor tropical biomass determined the adsorption of PAHs by the biochars, being governed by π–π interactions, with those prepared using biomass with high lignin content showing better adsorption. The online version of this article ( https://doi.org/10.1007/s10570-019-02394-0) contains supplementary material, which is available to authorized users. This study was financed in part by Coordenação de Aperfeiçoamento de Pessoal de Nível Superior (CAPES, Finance Code 001). The authors also wish to thank the Brazilian funding agency CNPq (Grants #552518/2011-5 and #307029/2013-1).